Born into a family of famous Katalan musicians she studied harp and singing at the conservatory in Barcelona. Then she continued her studies in Switzerland, including three years of opera study and finally she studied mediaeval music and historic interpretation in France. She played concerts and made records of old music with the band Hesperion XXI. She performed all over Europe, in the United States, in South America, Australia, New Zealand and Israel. She worked together with great musicians and plays concerts as soloist. Austrian music lovers know her from sold out concerts in the “Vienna Concert Hall” and from the festival “Styriarte”, where she performed with her father, Jodi Savall, and other international musicians. 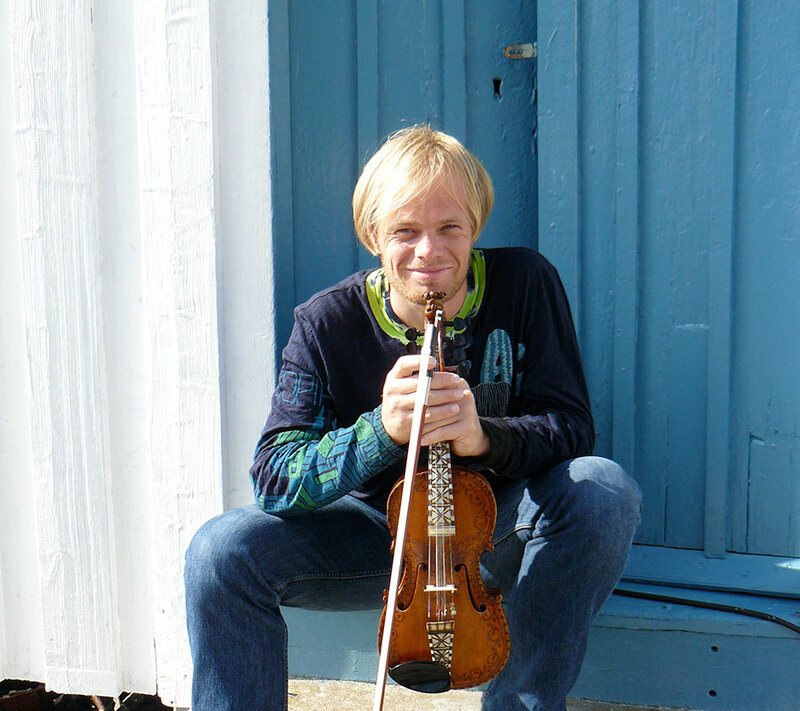 Born in 1971 in Oslo he did hid first studies in singing and acting at the Norwegian Music Academy, then he continued his studies in Basel at the Scola Contorum Basilensis. Additional singing studies he had with the tenor Hans-Peter Blockwitz. He is a sought after interpreter of old music as well as he is at home with the opera and musical stage. He had a part in Jodi Savall’s interpretation of Monteverdi’s “Orfeo” and appeared as soloist in numerous celebrations of holy masses and oratories. A wide range of chamber music, singing performances and mediaeval singing quartets is proof of his wide talent. Dimitri Boekshoorn was born in the Netherlands and has been living in Brittany for many years. 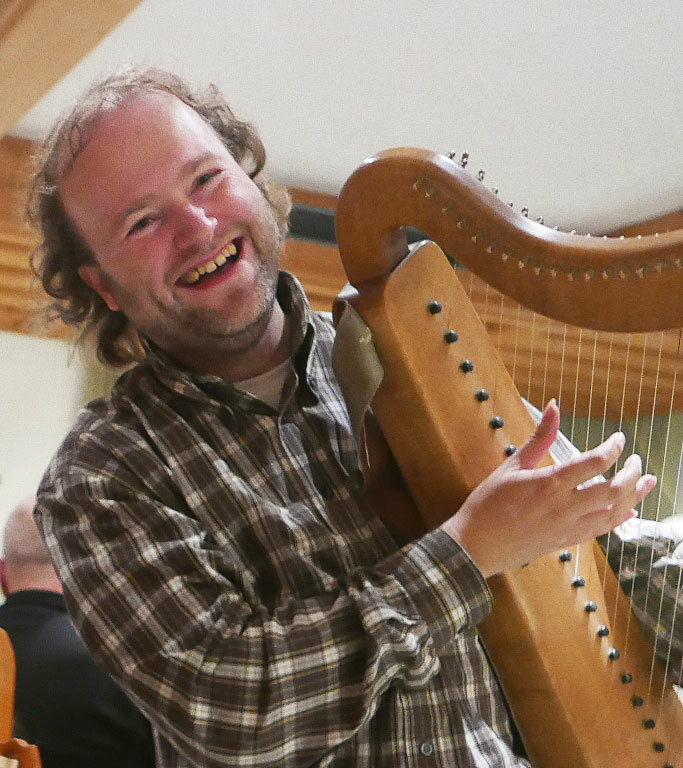 He is teacher of harp music on historical, Celtic and mediaeval harps. He also teaches the play on Irish and historical flutes. His repertoire includes music from Celtic lands as well as his own compositions. He finished studies of Celtic culture and language and worked as teacher at the university of Rennes. Since 1988 he has been playing traditional Celtic music from Ireland, Scotland, Wales and Brittany as well as his own compositions. He is well known for his light, quick, artistic playing technique. 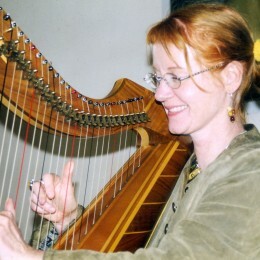 This unique technique of plucking the metal strings with nails goes back to the mediaeval Scottish and welsh tradition of playing the harp, which was common practice in Brittany as well. He was guest of many various international festivals, like the Celtic festival of Largent, the Celtic harp festivals in Edinburgh, Dinan, Porto and Vevey, the mediaeval festival Largentiere of Folkwoods, the festival du Perigord Barockstrasse of the Irish Association of Paris as well as of the parliament of Brittany. Regularly he played concerts with the well known musician Carlos Nunez. Dimitri also plays in various traditional Irish and Scottish music groups. His performances on the harp has led him to various European countries. 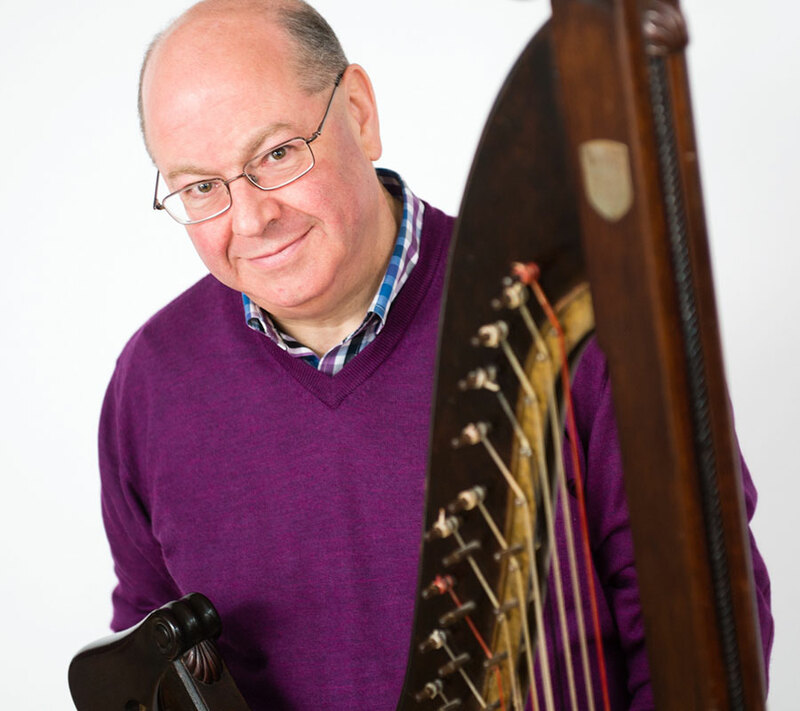 Robin Huw Bowen is an artist, who hast been representing the welsh music tradition on the triple harp for 25 years. He is one of the few professional welsh triple harp players and one of the most important representatives of the welsh music tradition. His repertoire mirrors the traditional welsh music, the knowledge about which had almost been lost. His play I based on His own research work as well as on authentic techniques, which had been handed down to himby traditional musicians. He recorded many music pieces which were thought to be lost and published them in order to be used by other musicians worldwide. His interpretation and playing is depend through his personality and the power of skill. He hands down the typical welsh dances and melodies together with their history as well as their keys and embellishments. 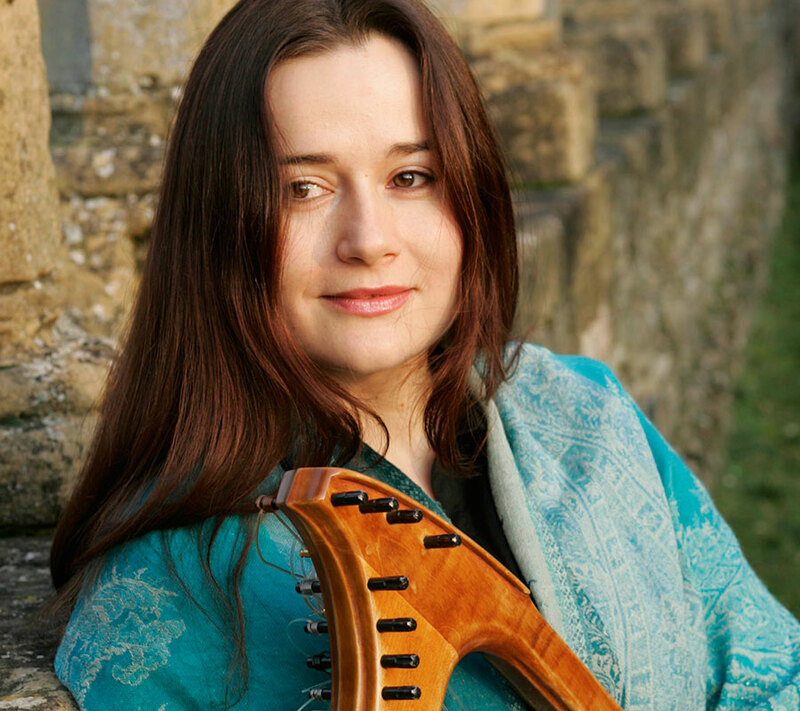 and Fiona Davidson, who taught her the bardic tradition of harp playing and Celtic cultural history. For years she has also been teaching beginners to play the harp.